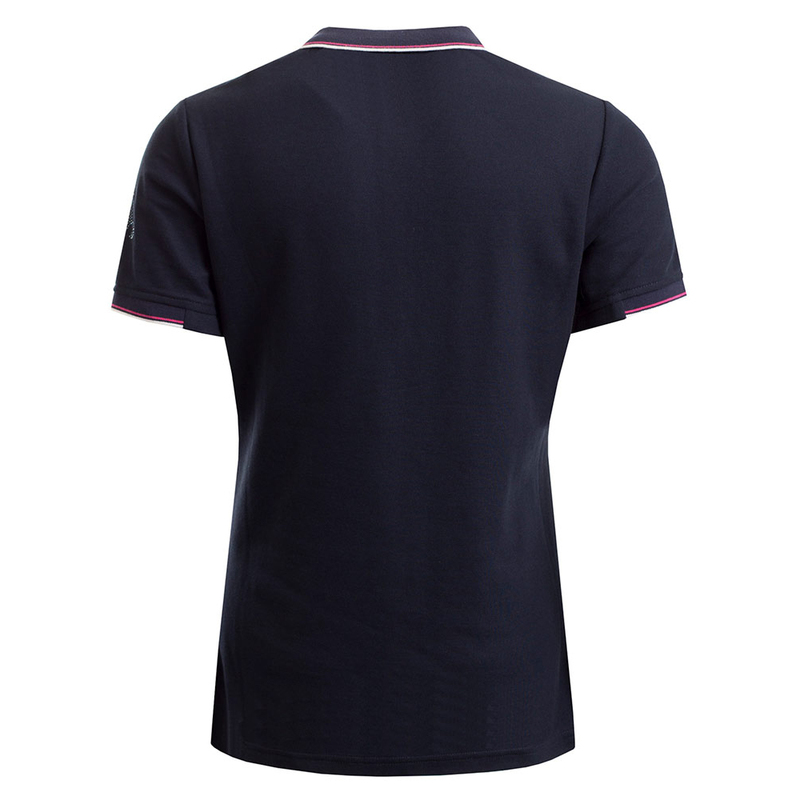 Push your body and mind to the limit on the golf course with the high performing Farrah Club polo shirt. 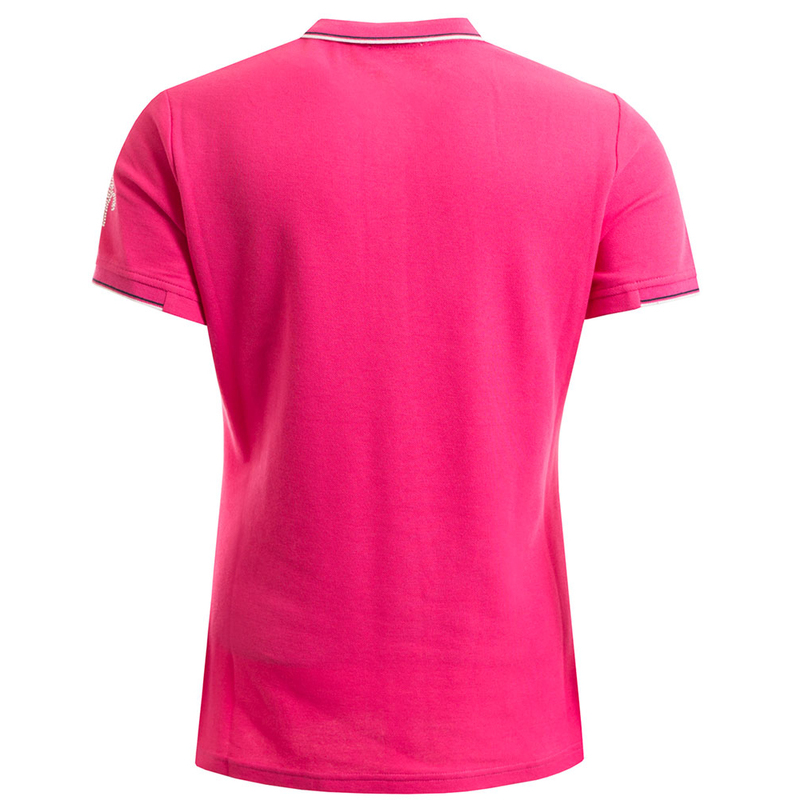 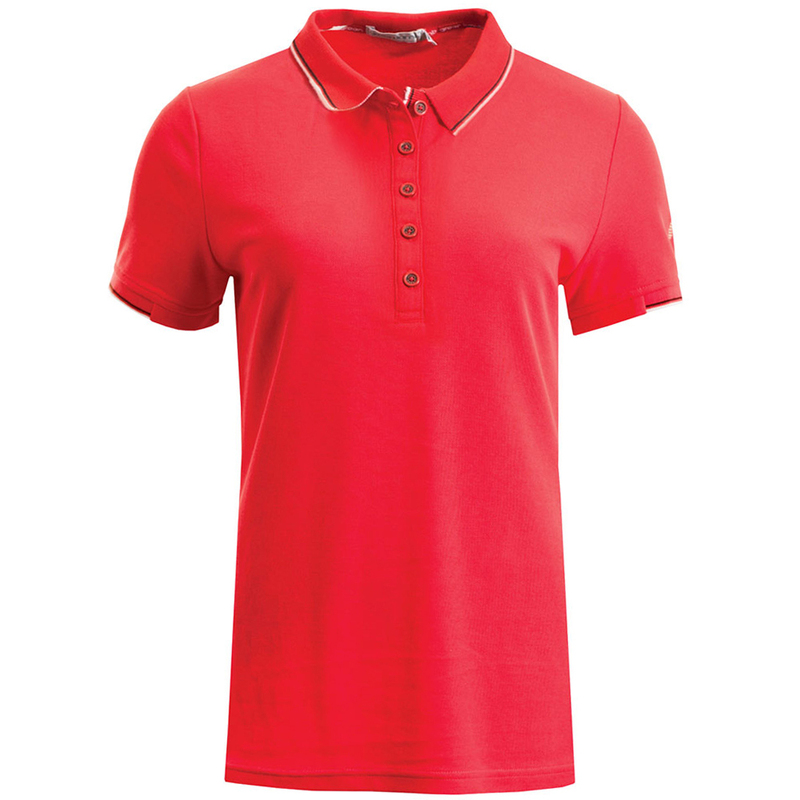 This sporty styled polo has been made from Radical cotton™ for soft cotton feel with high performing properties. 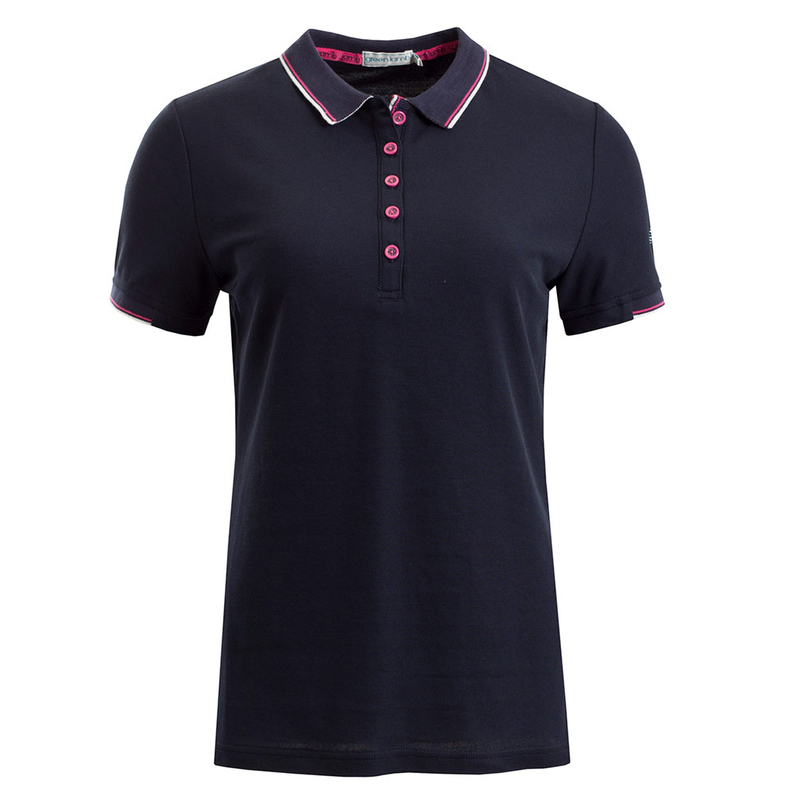 The garment has front darts to give a tailored shape with knitted collar, half cuffs and inner placket with double contrast stripes, plus a five button placket with new two colour Green Lamb logo buttons. 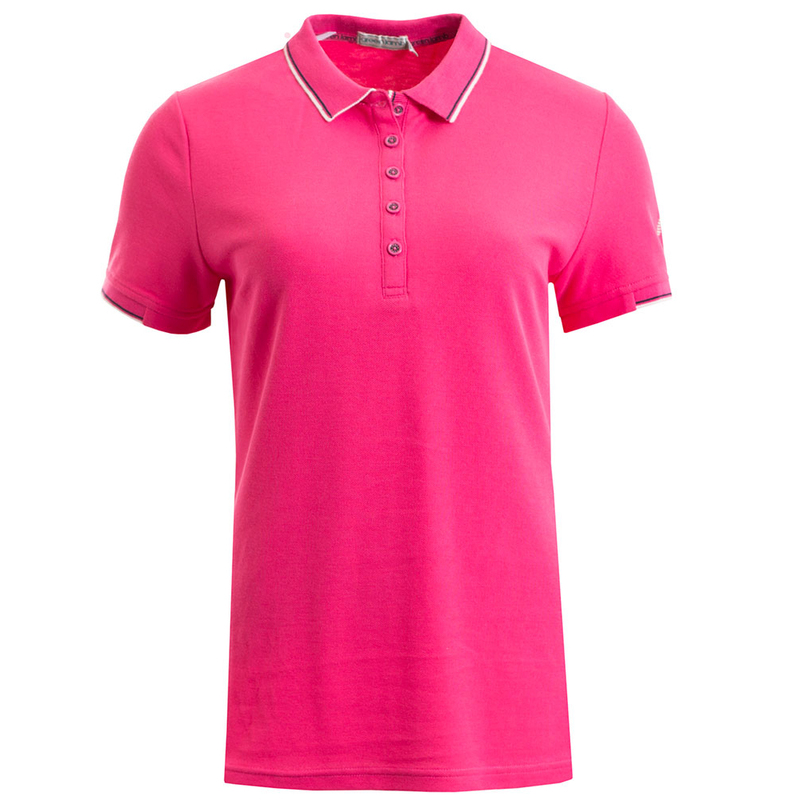 Other details include a contrast colour printed Green Lamb logo to the underside of collar and a crystal stone Lamb logo on the left sleeve to give added sparkle to your golf game.